As we get closer to Christmas I am stepping up my Christmas card making, I have been using kits from Kanban this week. I am also putting together a proposal for a local shop to sell my cards. Wish me luck! 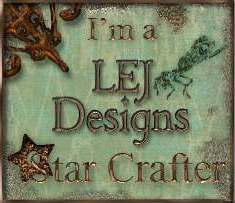 My hubby is away this weekend so I am looking forward to some serious late night crafting and a couple of good films. 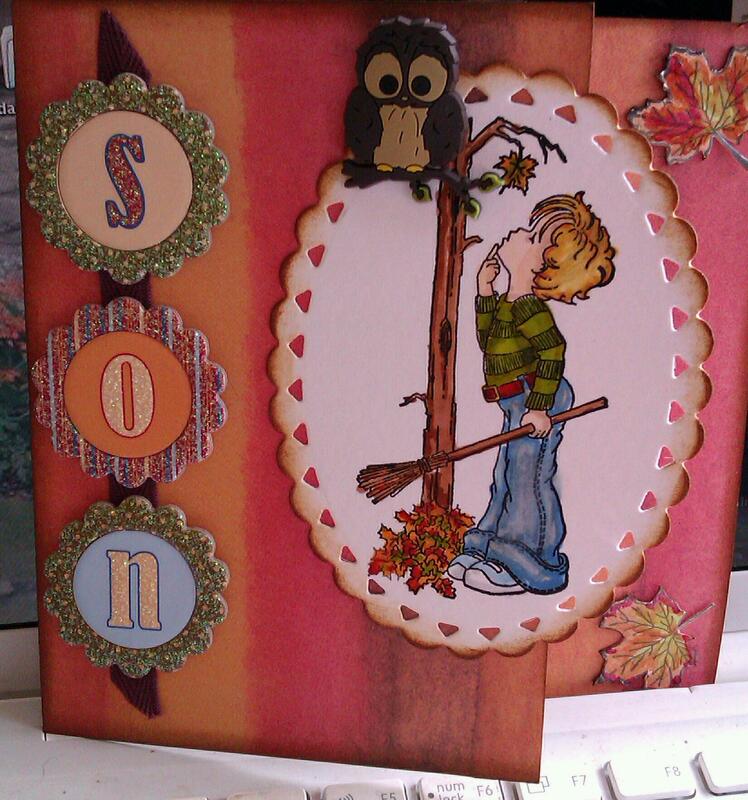 This is the same Magnolia stamp as is on my banner above. I absolutely love it and it was coloured with Promarkers,of course. 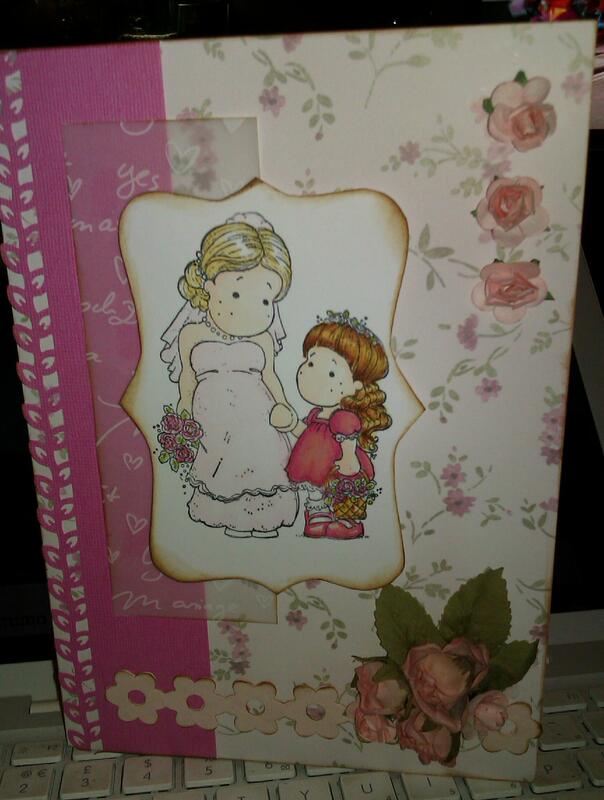 I used various pink papers I had in my stash and inked around the edges with Tim Holtz Vintage Photo. The insert has a small stamped image of the same design. I have made this card for my son’s 9th birthday which is coming up in September. 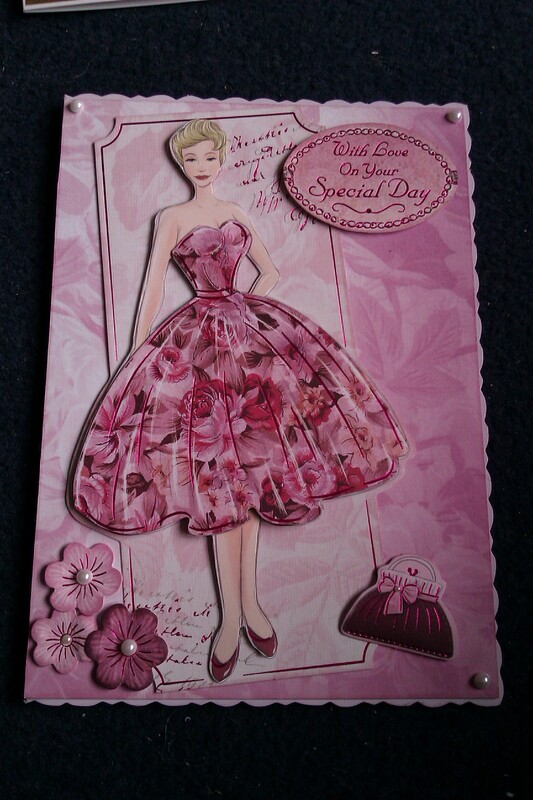 It is a mixture of all different brands , mounted onto a kraft card. The owl is a jelly brad from the Woodland Friends collection. 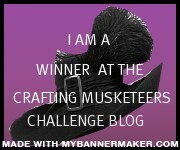 I’ll be blogging again later with a pink creation!